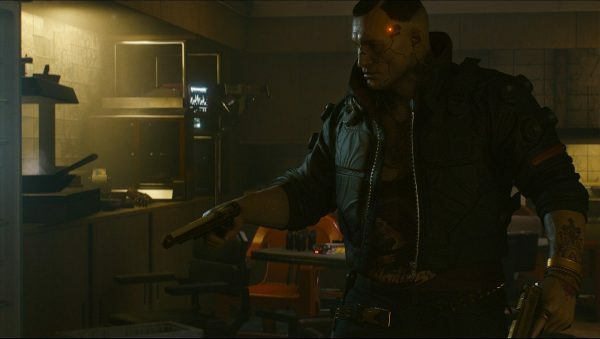 Meet the bionic man creating real Cyberpunk 2077-esque augmentations was first published on August 2, 2018. We are a generation of mind readers, augmented by technology. The internet connects us all. Any information we desire is at the tips of our fingers, and we can become bilingual with a click, communicating across languages with the power of Google. 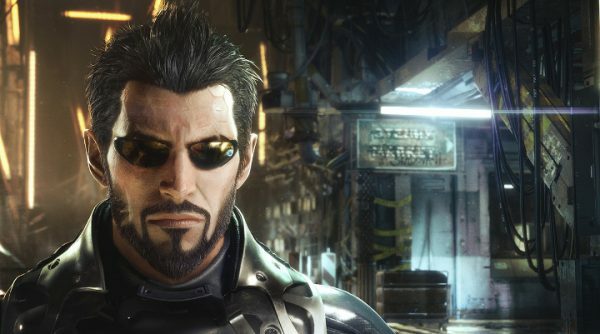 Video games are obsessed with a transhuman future – one where people swap out their fleshy limbs for mechanical ones, replace their eyes with synthetic peepers, and wear cybernetic skin. In video games such as Cyberpunk 2077 and Deus Ex, these exist only to augment the gameplay. Your new arms are for punching holes through enemies, your eyes let you to see through walls, and your skin makes light bend, causing you to become invisible. 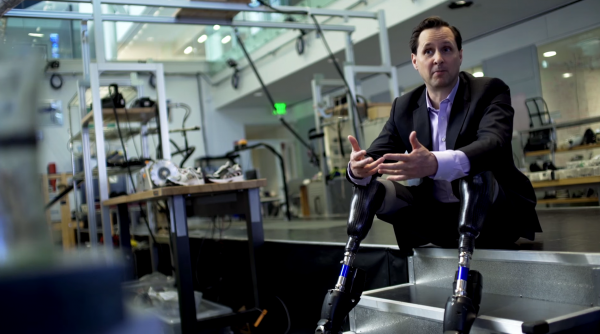 I recently watched a Ted Talk with an MIT professor who creates real augmentations, Hugh Herr, and it was fascinating. Professor Herr lost both his legs to frostbite in a mountain climbing accident, but he has since manufactured some cybernetic replacements he can control with his mind. When Professor Herr thinks about moving his leg, signals from his brain are sent to the processors in the synthetic limb, it interprets the signals and performs the movement. With the legs, Professor Herr can run, jump, and dance. I got in touch with the MIT professor to see if he would share his vision of an augmented human race, and to see what he thinks of the way video games and movies portray that future now. “It’s somewhat annoying to me, to be honest, the media’s take on human augmentation, as well as gaming companies,” Professor Herr says. “In this century, we’re going to largely end disability, disease, and so profoundly reduce human suffering that it’s beyond any of our comprehension. In other words, don’t expect our augmented future to be the grim one painted by Cyberpunk 2077. One of the big recent breakthroughs at MIT is recreating the sensation of proprioception with a synthetic limb. Proprioception is the sensation that allows you to put your fingers together, even when blindfolded. It is the sense of self. Essentially, MIT has created a way of connecting nerves to a bionic prosthesis, so the synthetic limb actually feels as if it is a part of your body. It’s a truly inspirational scientific breakthrough. “The problem with presenting bionics and cyborgs as this thing that’s going to dramatically be orthogonal to human values, or the values we hold dear, is it creates fear in the public,” Professor Herr explains. “To get over that fear is a huge hurdle. It’s at risk of being against the mission of human augmentation, in the sense of expanding human expression and reducing human suffering. Right now, we’re at the beginning of our journey down this evolutionary path, but things are moving very fast, as technology does. “I think disability after disability will drop like flies as we move from where we are today to 50 years from now,” Professor Herr says. In the future, if a pensioner is suffering from the excruciating pain of arthritis, they will be able to choose to get a new, mechanical limb. “In that world, [we’ll be able to] rebuild the limb back to its capabilities of when the person was 18 years old,” Professor Herr continues. “You could argue that the rational decision would be to receive the treatment.” To willingly remove the limb, in other words. Outside of medicine, there will be other applications for this technology, of course. As well as creating commercial products to increase strength, allow us to run faster and jump further, we will eventually be able to hook up our minds to computers. If you think this future sounds far-fetched, just take another look around you. If you lived 50 years ago and were transported into 2018 without being eased into our modern society, it would fry your mind. “We as humans today are profoundly augmented,” Professor Herr says. “Last night I arrived on this thing called an airplane from Iceland, then I used this thing called a smartphone and went on a network because I couldn’t remember something. We’re augmented all over the place. We don’t view it as scary or as augmentation just because we’re used to it. It’s so integrated to our lives that we don’t view it as foreign or anti-human at all. Some of that fear, I think, is tied into our capitalist economic system. Of course we’re afraid of machines taking our jobs, because the society we live in now certainly wouldn’t give handouts to all its civilians if everything became automated. Another ingrained cultural system that keeps people afraid of technology is religion. Once augmentations make their impact on medicine and put an end to disease and disabilities, where does the technology go from there? If you ignore the violent applications presented in video games, it seems the portrayal of the cybernetic enhancements outside of medicine aren’t too far off. One day humans – actual humans – will take flight.